The auction saw the participation of more than 100 firms and had "good results"
Russian diamond miner Alrosa has sold 112 gem-quality special size rough diamonds (weighing over 10.8 carats) at an auction in Ramat Gan last week, having received $14.5 million revenue from sales, according to a press release. The 112 gem-quality lots weighed 1824 carats. The auction saw the participation of more than 100 firms from Israel, Belgium, India, USA and UAE. Alrosa plans to hold three more auctions in Ramat Gan by the end of 2018. One of the auction will be held simultaneously with the Jovella jewelry exhibition in June. 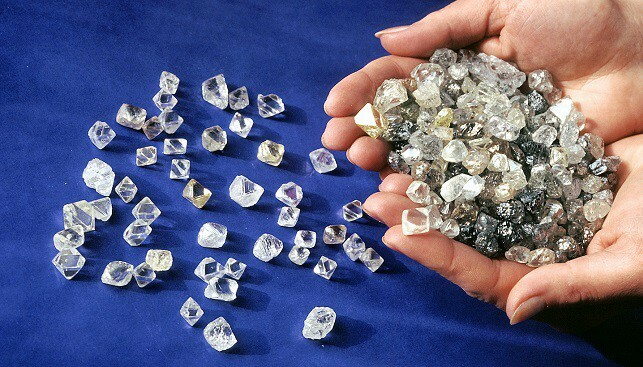 Evgeny Agureev, Director of the USO ALROSA, commented: “This year’s third auction in Israel has concluded with good results and a significant excess of the starting price […] We saw traditionally high interest from Israeli companies, which are specializing on this category of rough diamonds”.